Digital advertising, while still a great direct response tool, now has the power to reach audiences in a more personalized way by developing an attention strategy. People have already identified how efficient and effective display ads are when bought programmatically; the adoption to take this one step further through dynamic decisioning is happening now and happening quickly. If it isn’t relevant, consumers won’t care. Dynamic creative can and should play a large role in the travel industry, as our clients often don’t have one specific audience they need to reach or one specific offering they want to showcase. Dynamic creative provides us the structure to create use cases that pull in a variety of data points and also make it easy to test numerous creative combinations, leading to a better understanding of what imagery and CTAs resonate with the traveler. 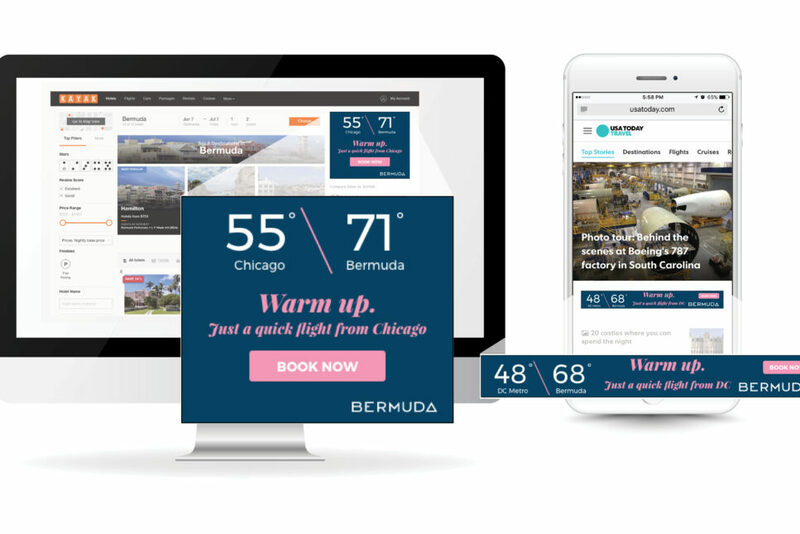 Bermuda Tourism utilized dynamic creative for their Pink Sale campaign, pulling in weather and location-triggered messaging to entice travelers to book and save up to 50 percent on their stay. In this case, we pulled in a live weather feed from the user’s current location as well as the weather in Bermuda. We also know that proximity to Bermuda is a great way to shift market share from other well-known competitive destinations, as our target feeder markets are no more than three hours away from the island. Based on the user’s location, we pulled in the flight length and city name to customize the ad even further to be relevant to the consumer. Initial results show an increase in Bermuda site traffic, up 27 percent YOY during the same time period, with a click-through rate of more than 200 percent of the travel and tourism benchmark, over indexing on engagement rate (1.55 percent vs. industry 1.28 percent) and average engagement time (16.8 seconds vs. industry 13.22 seconds), according to Spongecell, an agency that specializes in programmatic creative. 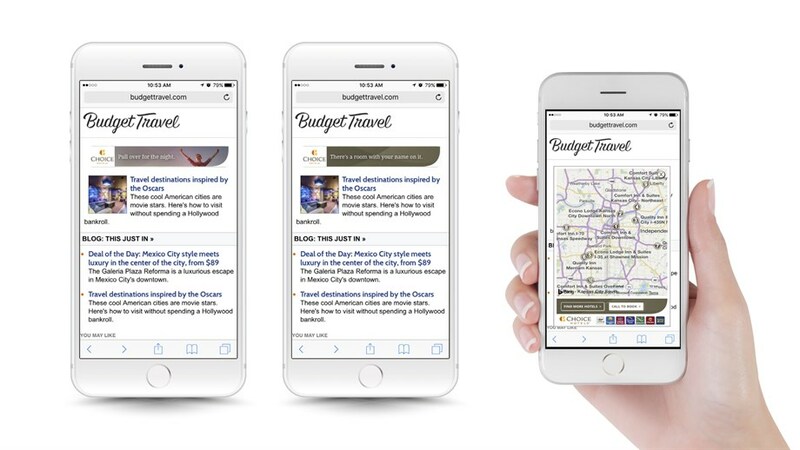 Choice Hotels utilized dynamic creative to capitalize on travelers on road trips that are looking for a hotel along their way. We know that we are looking for a last-minute hotel booker that tends to use their mobile device to complete their booking, and we know that the road tripper is a key audience for Choice. Working closely with MobileFuse, MMGY Global created a targeting strategy for road trippers, utilizing cellular data to reach these users at such places as major U.S. highways, rest stops, bed-and-breakfasts, tourist attractions, monuments, national parks, landmarks and other popular road trip destinations. We were also able to differentiate travelers vs. locals based on understanding home location vs. current location.